We are minutes away from the airport and conveniently located close to hiway #1 (16th Avenue) and hiway #2 (Deerfoot Trail), with easy access to the Calgary Zoo, Calgary Tower, Calgary Stampede grounds, shopping malls and downtown. "Quiet, great breakfast, clean linens, comfortable beds." Overall great stay. Enjoyed using the breakfast room to play cards with students during the evenings. Disappointed in hot tub, closed one night and just a warm tub the next. 08-Apr-2019 Verified Review, stayed from Wed Apr 03 to Sat Apr 06 2019 at a C$95.00 group rate. 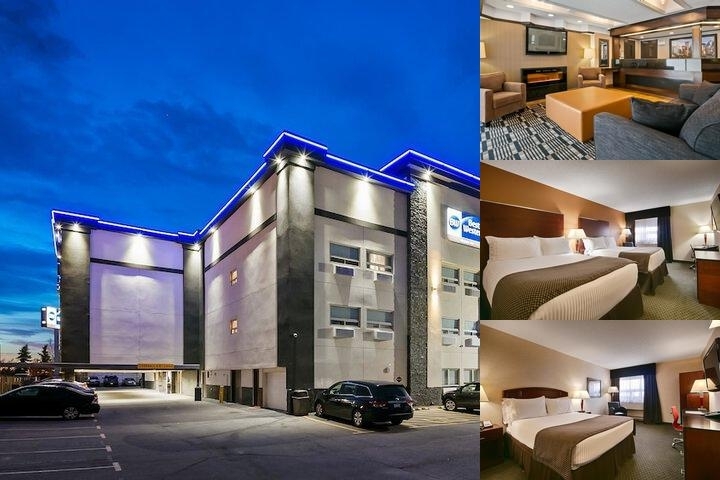 Guests searching for hotels near Calgary Airport wonâ? ?t be disappointed by this property, just minutes away from check-in and a favorite for frequent fliers.Looking for hotels near the Calgary Zoo and other top Alberta attractions? At this Calgary hotel, getting to the top destinations in the city is easy and quick. The location, close to the airport, makes it a popular choice for business travelers. Plus, being near downtown Calgary means all the excitement of the city is just a few minutes away, from fine dining to legendary shopping. Enjoy easy access to Hwy 1 and Hwy 2, allowing for road trips to stay on track.Visit the Telus Spark Center for fun-filled events year-round. At the Gateway to Banff and the Canadian Rockies, this Calgary hotel is often a luxurious resting point for outdoor lovers and adventure seekers. Whether travelers are here for the Calgary Stampede or the Global Petroleum Show, staying at a great property is crucial. Itâ? ?s what sets the tone for the entire trip, and plush pillow-top mattresses along with quiet accommodations is exactly whatâ? ?s in order.The Calgary Motorcycle Show always brings a crowd to the region, but any time of year is a fantastic time to visit Alberta. Take advantage of the indoor heated pool for a relaxing visit, and start each morning with a complimentary breakfast spread. With shopping malls and the heart of the city just a few kilometers away, starting each morning with a delectable meal gives travelers the energy they need to make the most of their getaway.Knowledgeable staff members double as local ambassadors and are happy to give tips and recommendations. From Calgary Tower to Tim Hortonâ? ?s, guests are kept in the know about the best places to visit.Park and Fly package available! Park your car at the property while you're away on vacation from October-March. Please call the hotel for details and to reserve.Reserve your room at the BEST WESTERN Airport Inn for the best rates in town! Conveniently only 10 minutes from Calgary International Airport.